Posted by KingofPSU in Fallout 76 Character Builds. 18 posts, last by KingofPSU 3 weeks ago. This Guide is written in RP form, contains strong language, and doesn’t represent the thoughts of the user writing this. I’m sorry. OK GUYS, WELCOME TO THE END OF THE WORLD AND BLAH BLAH BLAH NO ONE CARES. I’M HERE TO UPGRADE YOUR PATHETIC VAULT DWELLER WEAK BODY INTO A REAL MACHINE OF WAR. SOME PEOPLE JUST WANT TO WATCH THE WORLD BURN, I PREFER BURNING IT MYSELF. 2 posts, last by Vormehk 4 months ago. Posted by Bemyguest in Fallout 76 Guides & Tips. How to get a full Excavator Power Armor set – Increase your max weight by 100! Found this guide on how to get a full Excavator Power Armor set that will increase your max weight by 100! To get this set you will need to hit level 25 first, then finish a side mission. Details below. Edit: You can enter the building and take the plans, but you can’t craft the set (which is required to complete the mission) unless you’re level 25. The map gives an idea of the level range for each of the six zones in Fallout 76. It was postet on Reddit by TheRealBoylston. The first region you’re exploring after leaving Vault 76. Located in the west and characterized by mountains, lush forests and a diverse wildlife. You can also find pre-war town like Charleston and Point Pleasant there. Note: This build was heavily influenced by Battlin’ Jack’s level 50 build and is basically a shotgun version of his build with minor changes here and there to suit my playstyle. The build assumes we can hot-swap for crafting rank 5 weapons (Gunsmith 5) / exotics / etc (hence Intelligence 5) and can hot-swap for lockpicking / hacking / everything in between. 6 posts, last by targetrein2 5 months ago. 9 posts, last by dubiousone 6 months ago. Posted by Talidus in Fallout 76 Character Builds. 2 posts, last by Mehridian 4 months ago. Posted by CaptSwears in Fallout 76 Character Builds. 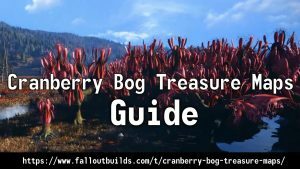 Posted by OctaviusBangwolf in Fallout 76 Guides & Tips. Here is a list of all Power Armor Sets in Fallout 76, including their stats, the required level and details on where you can find them. Finding place: A reward for the BoS questline. 3 posts, last by ace26041 5 months ago. Posted by chrislyons in Fallout 76 Character Builds. 8 posts, last by Sentinel76 5 months ago.